We all want to smell nice. Of course we do. But at what cost? Fragrances have been around for a LONG time. But a lot has changed. Back in the day (we’re talking pre-1800’s), perfumes were mostly derived from natural plant ingredients. Nowadays though, perfumes are a potent cocktail of synthetic ingredients. Much like personal care products, these industries are not regulated, no one is telling them what they can and cannot put in their products. Nor are they required to disclose the actual ingredients as it’s considered a ‘trade secret’. Our skin is our largest organ & it’s highly absorbent, so we want to make sure that what we put on our skin is 100% natural. We’re already exposed to thousands of toxins a day so we want to control what we can. And studies show that some fragrance blends are created with over 600 ingredients, most of them chemicals you’d never want to ingest. These ingredients can cause allergic reactions, hormone imbalance, skin irritations, headaches, nausea, dizziness, and more. Read the labels and go with a company you completely trust. If a company isn’t 100% transparent about what’s in their product then that’s a red flag to me. Steer well clear. Don’t believe the marketing hype and don’t follow the crowd. We can no longer trust what’s sold off shop shelves, we need to take control and self-educate. And it’s not just perfume, did you know as many as 200 chemicals can be found in a body wash to make up its scent. These chemical ingredients won’t be listed, they will simply say ‘fragrance’. A 2001 study by the Environmental Protection Agency (EPA) found that synthetic fragrances were often shown to contain hormone disruptors linked to abnormal cell reproduction. So why are they more accessible over natural products? Scents produced by chemicals are cheaper than naturally produced scents, plus they last longer. So when you’re buying your perfumes, moisturisers, cleansers, body washes, shampoos, conditioners, soaps, deodorants, and even candles, you might think you are buying luxurious items, when they could actually be potentially disrupting your health. Choose ‘unscented’ and ‘fragrance-free’ products. Avoid all products that list ‘fragrance’ in the ingredient list. Buy your products from companies who are conscious and transparent about what is in their products. 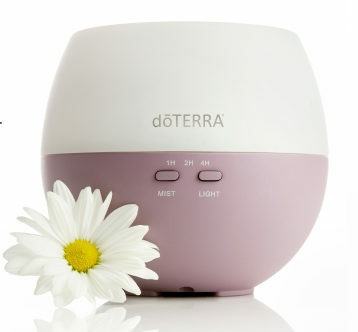 Look for scents that are naturally derived or plant-based. Certified organic products do not have synthetic fragrances. My most favourite alternative to synthetic perfume is a pure-fume made up with essential oils, Click Here for a little video I did sharing how I make mine up, what I use and why. And here’s a short clip I shared 24 hours later about the response I had from the blend I chose. Here’s to living a more natural life. P.s. If you’re ready to join us on this natural journey then head over here >> to Get Started or email me at bridget.thiswholesomelife@gmail.com with your questions. I’m not one of those people who grew up around holistic remedies, when something was wrong we’d go to the doctor like most people. I started using essential oils only 2 years ago, and prior to that I had NO IDEA they could support us in so many different ways. Let me share briefly how I came to using them… when I became a mum I faced a number of emotional challenges, such as depression, crazy hormone imbalance, adrenal fatigue, and anxiety. I lost who I was, and one dark day rolled into another. For about two years I trialled various prescription drugs, in search of a solution that would return me to my normal self. I didn’t try it straightaway, it sat on my shelf for about two weeks, but that person kept persisting I try it. I’ll be forever grateful they did, because I had an experience with that oil that I definitely wasn’t expecting, and I wanted more of it! That one application was by no means a cure. Essential oils are not a cure, they support the body in its natural healing process. It took me a while to get into the daily habit of using them, because they’d never been a part of my routine before, or even on my radar. When I get up in the morning to organise breakfast, the first thing I do is add Elevation (our Joyful Blend, commonly used for depression) to the diffuser with some Wild Orange (which is like a burst of sunshine!) Breathing in these gorgeous aromas while we have breakfast puts everyone in a good mood. 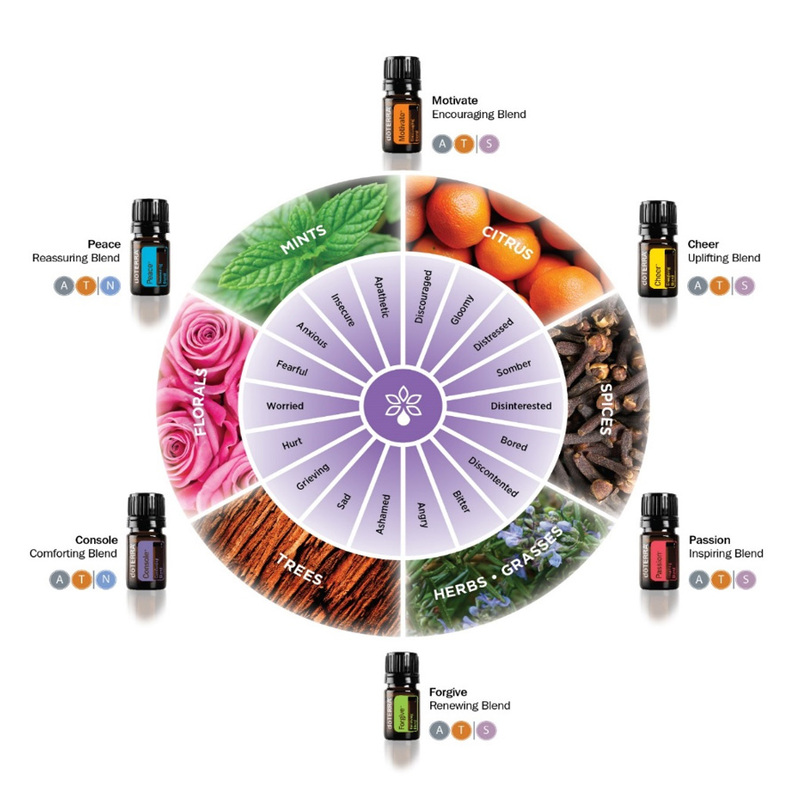 Essential oils have the ability to cross the blood brain barrier and connect directly with our limbic system – this part of our brain controls our memory, mood, blood pressure, our heart rate, and so much more, and this is why essential oils can create such a powerful response. Before I put my shoes on I’ll apply some Balance (our Grounding Blend) to the bottoms of my feet – it takes approximately 30 seconds for them to reach our bloodstream from our feet. This helps level out my mood. Then I’ll apply what I call my ‘anxious mess’ blend (no fancy names here!) which I make up in a roller bottle – I add 15 drops of Serenity (the calming blend) and 15 drops of Wild Orange (both calming and invigorating). I roll it onto the top part of my spine, as far as I can reach, then I massage it in. Our spine is very connected to our nervous system, so this is a great place for essential oil application to support anxious feelings. Anxiety has crippled me at times, I’ve literally had moments where I’ve not been able to hold a conversation with someone, or if I have it’s had me in a hot flustered mess. Seriously. And finally, I’ll apply my ‘happy’ blend to the back of my neck and massage it up towards the back of my head / brain. This blend is made up of Frankincense (‘Oil of Truth’), Bergamot (‘Oil of Self-Acceptance’), and Ylang Ylang (‘Oil of the Inner Child’)*. I add 10 drops of each to a roller bottle topped with fractionated coconut oil. And that’s it! I won’t necessarily do each of these every single morning, but I make sure I include at least two of these steps within my morning routine. It really depends what I need at the time. Not only do I feel like the weight has been lifted and I can go about my day feeling more calm and positive, but they smell incredible too. I’m ALWAYS being complimented on how good I smell – dropping the synthetic perfume was the next best thing I did by the way, but that’s a topic for another day! When using essential oils for physical and emotional wellbeing, you want to be using a high quality essential oil. I chose doTERRA because they are the leaders in the industry, no one is growing, sourcing, testing, and producing essential oils like they do. Did you know that only 5-10% essential oil is required to call it a ‘pure’ essential oil? Crazy huh. When I first started using essential oils, I had no idea what I was doing, so now I love to help others get started right, based on their needs. Committing to this routine not only keeps me calm, grounded, and a much happier person, but I found what I was searching for – my ‘normal self’. And it is this that has transformed the way I show up in my life, and how I show up as a wife and mother. * If you’d like to learn more about the emotional elements of essential oils then I highly recommend this ‘Essential Oils & Emotions’ book.